This is very cool. Toshiba's bendable LCD screen allows you bend/zoom into Google Earth. This is very cool. 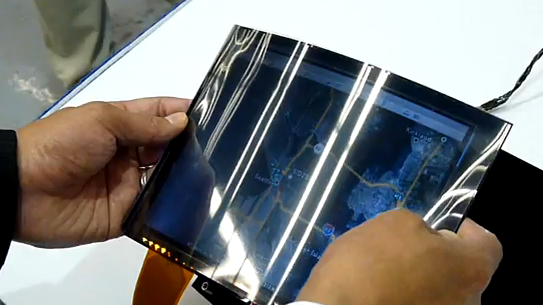 Toshiba’s bendable LCD screen allows you bend/zoom into Google Earth.